When you think of witches, you usually think of green stockings and pointy black hats, right? But that stereotypical “witch” look is so overused by now… and really, not flattering on anybody. We know that everyone supposedly looks good in black, but you know what everyone looks even better in? Glitter! If you really want to stand out from the rest of the witching crowd, you need a hat that stands out. And you know what stands out even more than a hat? A crown… a shiny silver and pink crown covered in glitter! Glinda the Good Witch knew exactly where it was at when it came to fashion. Just check out her amazing dress and coordinating accessories. She stole the show and easily upstaged those witches from the other corners of Oz (not to name names, Wicked Witch of the West…). Why not take a page from her book and add a crown to your witch costume, too? 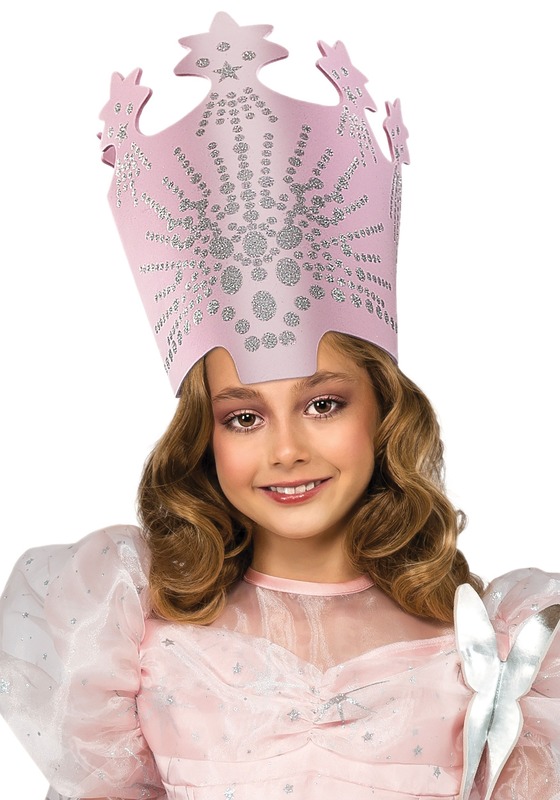 This Glinda the Good Witch Crown is perfect for any witch costume, whether you’re channeling Glinda’s entire look or making your own witch costume up. In fact, you can use it for all sorts of costumes, from princesses to superheroes. 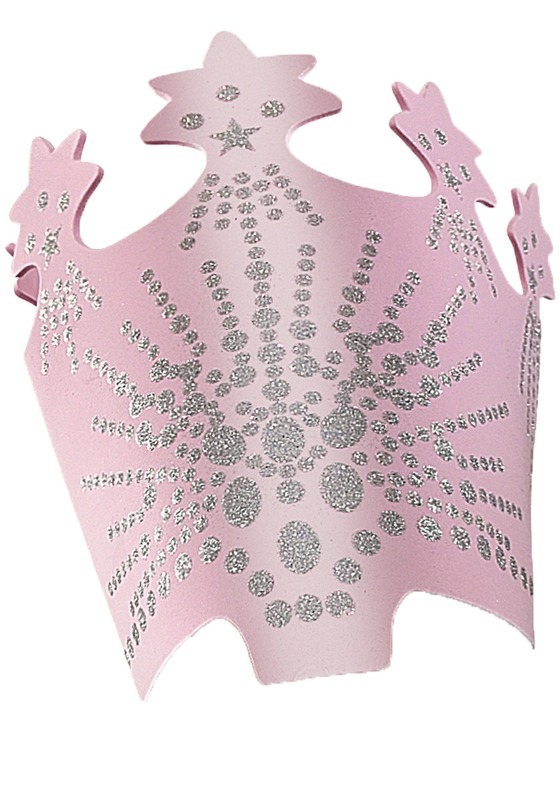 The officially licensed crown is made of pink foam and covered in dots, moons and stars of silver glitter. It’s sure to be the crowning part of any witch costume!